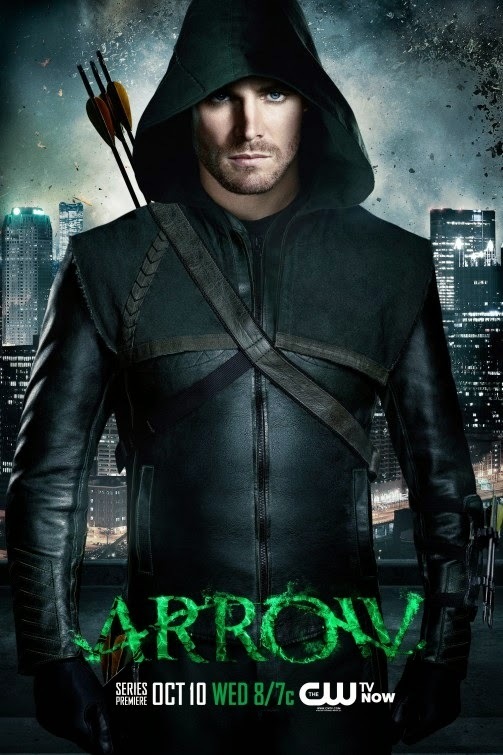 Arrow and The Flash are television's Golden Standard for how to run a quality superhero epic on cable TV. While sometimes the CW melodrama of both shows can drag it down, there’s no denying the crossover success the CW was able to have. Hell, I’m a 27 year old man and I fully admit to watching two shows on the CW. I don’t think those words would have dared to have been uttered three years ago. While both shows essentially have the same smart brain child running them, and exist in the same universe (It seems like Starling City and Central City are like right next to each other), the two shows could not be more different from each other. I was raised a White Sox fan. My father was born and raised in Boston so he's always been a fan of the Red Sox. However, after spending his college years in the Boston area, he came to The University of Chicago for graduate school. After living in Chicago's South Side and always being a fan on the American League, the Chicago White Sox became his second team. He eventually moved back to Massachusetts, met my mother, had me, then my brother while living blissfully in New England. When I was three, he moved my family to the Northern Suburbs of Chicago. Cubs territory. But through and through, he remained loyal to the White Sox and my brother and I grew up White Sox fans. We would spend our summers going to Comiskey Pahk (I refuse to call it U.S. Cellular Field) and Frank Thomas was our childhood hero. The Chicago White Sox had been competitive every now and then throughout my lifetime, but they never seemed to be able to take the next step, While all of my friends would bemoan the losing streak of the Chicago Cubs, the White Sox as a franchise were not all that far behind them. But then something magical happened. In 2005, the Chicago White Sox took a team full of scrubs to not only become one of the best teams in baseball that year, but rode a dominant post-season performance to eventually claim the title of World Champs. I was a freshman in college at the University of Illinois Urbana-Champaign, and myself and the rest of the student body could not have been more excited to root for a team to bring the championship back home to Illinois. This blog post is a dedication to that 2005 White Sox team. It's been a decade since that glorious season, and it seems as if the 2005 White Sox have been lost to history. This is both a combination of my own oral history of their 2005 season combined with historical data to help bring back the glory years of not only one of the greatest baseball teams I was fortunate enough to root for, but also one of the best major league baseball teams in our life time. This is a look back on the 2005 Chicago White Sox, the greatest team no one remembers. Not only is Breaking Bad my personal favorite television show of all time, but it's the greatest thing that any television network across the entire planet as ever shown. It's really freaking good, and I don't know a single person alive who doesn't love the show. Unfortunately, the show went off of the air in 2013. We'll still have its incredible legacy, but we won't get any more new episodes of the show again. Luckily for us though, we have Better Call Saul in our lives. AMC's newest show is a Breaking Bad spin-off about Albuquerque's best criminal defense attorney (If you want a criminal lawyer, you want a *criminal* lawyer) trying to start his own practice and about Jimmy McGill becoming the sleezeball Saul Goodman you saw on Breaking Bad. Breaking Bad stepped into a higher gear once the show introduced Saul Goodman, because the much needed levity Bob Odenkirk's character brought to the show cut the tension and drama the show had created for itself. 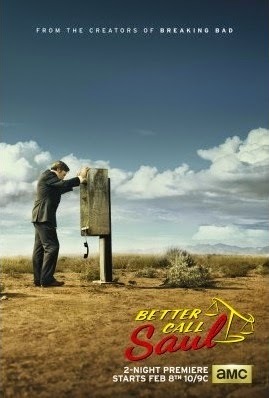 Because Odenkirk and his character were so good, Breaking Bad's creator Vince Gilligan always joked that he'd have to create a Saul Goodman spin-off show once Breaking Bad ended. Well, 16 months after Breaking Bad went off the air, we have the Breaking Bad spin-off the writers always joked about. 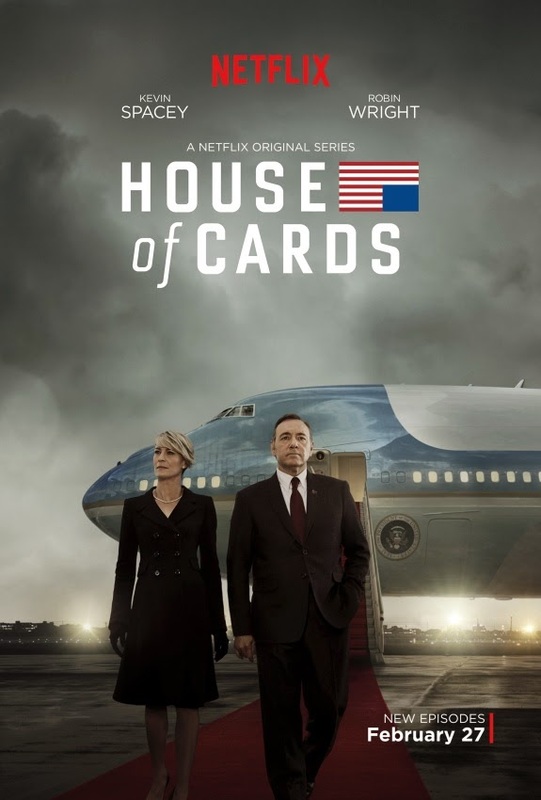 The very first television program produced and originally distributed by Netflix was a David Fincher produced series starring two-time Academy Award winning actor Kevin Spacey called House of Cards. The show first aired in 2013, and when I wrote about the show then, the title of my article was "Series Review of House of Cards and The Start of a New Era of Television." I absolutely loved the first season of the TV show which is why I couldn't stop fawning over it. Now, after three season my personal feelings on the show itself have waffled, but as I reflect upon it more, the more I realize that House of Cards is the most important show of this generation. Whether you enjoy the show or not, there is no denying the importance it has had on our culture thanks to this new and improved ability to consume television programs. I refuse to believe that the era of traditional television is over. I believe it is dying, but the TV industry is constantly finding medication for itself. The early part of 2015 saw massive hits like FOX's Empire and minor hits like CW's Jane The Virgin and ABC's Fresh Off The Boat. These shows have proven that network and traditional television is very much alive and well. Furthermore, as someone who has became a cord-cutter for a brief period of time, I cannot imagine living out the rest of my days without the ability to flip through channels I don't like in the hopes of landing on something I do. But maybe I'm too old, naive, and insulated to be making these sorts of claims. Hitfix's Donna Dickens wrote an excellent article examining how her young children watch TV nowadays and the potential negative effect it will have for cable companies. She wrote about how her kids can't even watch commercials without being impatient and bored. One of them even said, "Live TV is awful" and they would just wait for the show to come to Netflix. They couldn't comprehend the concept that if they didn't watch live TV then there would not be a show for Netflix to even air. 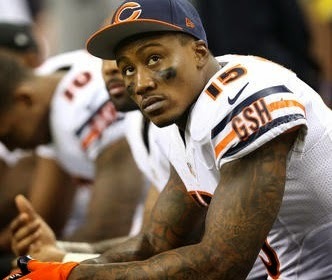 According to the Chicago Tribune, the Chicago Bears are actively shopping wide receiver Brandon Marshall. As a lifelong Chicago Bears fan, I’m very upset by this news. Brandon Marshall is arguably the greatest receiver in the franchise’s history (from both the numbers he put up in his limited time here and from a pure skills standpoint, I dare you to name someone better) and when healthy, he’s one of the best receivers in the game. Plus, it’s just fun to scream MAHHHHHH-SHHHHHHAAAAALLLL every time he does something excellent. But from the Bears perspective and a GM perspective, it makes sense why they’d want to trade him. The big reason to trade away Brandon Marshall is that he’s decently expensive. It’s almost the exact same reason the Philadelphia Eagles traded away LeSean McCoy. Marshall is currently under contract for the next three years, and he earns an average of $10 million a year. That makes him (on a yearly average) the 9th most expensive wide out in the game. That’s extremely fair and market price considering Marshall’s skill set and considering his production during his tenure in Chicago, but also not exactly cheap either. According to OverTheCap.com, Brandon Marshall is set to cost a little over $9.5 million against the cap in 2015, a little under ten million dollars in 2016, and about $10.375 million dollars in 2017. While that’s not a ginormous, Jay Cutler-in-2014 chunk of change, it is still a decent amount of money that will come off of the books. And speaking of Jay Cutler, his contract nose dives over the next few years as his contract was extremely frontloaded. The Bears will save another two million from this year compared to last just the way Cutler’s contract is structured. I bring this up because the Bears will have a guaranteed $11.5 million freed up in 2015 based upon two players alone. That may not be enough to go out and get Ndamukong Suh, but it should be enough to get stud offensive lineman Mike Iupati or Orlando Franklin or a stud defender like CB Byron Maxwell, DB Devin McCourty, or DT Nick Fairley. I would love for the Bears to get help on their back seven on defense as they have had historically bad defenses the past two years, and trading away Marshall will help improve the defense. I contend the Bears have a few good pieces on defense currently on their roster, and a stud free agent acquisition and their 7th overall pick in conjunction with the coaching of the excellent John Fox could easily be enough to bring the Bears to a respectable place on defense and therefore an above average team. We live in an era of football where Fantasy Football matters more than the actual NFL. We care about the offensive players on our fantasy roster and we overanalyze every quarterback, running back, and wide out, and only halfheartedly pay attention to any defensive players. It’s why we care about Ray Rice’s domestic abuse scandal and couldn’t care less about former Carolina Panthers defensive end Greg Hardy’s domestic abuse case, it’s why a quarterback HAS to win the MVP over a defensive player, and it’s why we think the Philadelphia Eagles trading away a running back to the Buffalo Bills for a linebacker is one of the worst trades that has ever existed in the history of mankind. 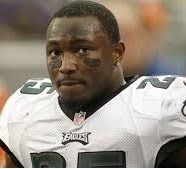 I understand the initial reaction of All Pro RB LeSean McCoy being outright traded. It seems unfathomable. I couldn’t even trade for McCoy in my Fantasy Football League last year (despite his poor fantasy numbers all season long) yet the Eagles traded him away willy nilly. People who think the Eagles made a bad move trading away LeSean McCoy aren’t looking at the big picture. They see a guy who is immensely talented at a “premiere” position who is soon to be 27 years old and think “DaFuq?”. However, these people are missing two key facts: 1) LeSean McCoy is insanely expensive and 2) Running backs are completely replaceable. First, let’s take a look at LeSean McCoy’s contract. According to OverTheCap.com, in 2015, McCoy was set to earn $10.25 million dollars in salary which counted $11.95 million against the Eagles cap. If they outright released him, they would have owed McCoy a guaranteed one million dollars. McCoy was the second highest paid running back per year behind only Adrian Peterson. On the other hand, the Buffalo Bills take a HUGE cap hit, and nearly 1/3 of their cap room next year is going to Shady. According to Ross Tucker, the Eagles have now gotten rid of 3 out of their top 4 salary cap hits for 2015, and now have over $20 million dollars in cap space (Bill Barnwell puts that number closer to $30 million). That’s money the team can now spend on free agent Jeremy Maclin (or any other free agents they so choose) and rebuilding their defense that ranked 28th in 2014. When I first wrote about the First Season of House of Cards, my waxing of poetic might have gone a little bit overboard. I mean, I did call it the official beginning of a new revolution of television. But that being said, if the time between The Sopranos to Breaking Bad constitutes The Golden Era of Television, then we are most certainly in The Silver Era now. We are in a era of television marked by a vast quantity of shows, many of them great, with no real consensus of which one is the best. Netflix and House of Cards is a major reason for the current proliferation of great TV dramas as we don't even have to watch traditional TV channels to find great television programs. And House of Cards is currently back in the fold to be considered great. I absolutely love the first season of House of Cards. I literally lost sleep just so I could binge watch another episode of the show. In the end, I placed it as my 4th favorite show of 2013 behind Justified, Breaking Bad, and Mad Men and right above Netflix's other major television program Orange Is The New Black. Not a bad company to be joined by. House of Cards' first season was as good as it was because it had interesting characters (obviously most notably The Underwoods) that you couldn't wait to see what they were up to next. The actions of these characters might not have been wholly believable- mainly the idea that Frank Underwood could get any bill he wanted to passed with a little bit of elbow grease and blackmail- but you didn't have to suspend your disbelief terribly to envision that this version of Washington D.C. actually exists. 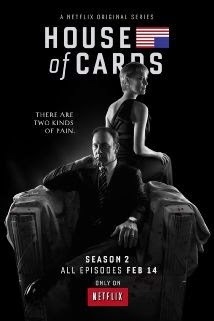 House of Cards was first and foremost a political thriller where the web of lies and deceit was a chess game for Frank.